Tues. Aug. 26 3:30 Skiatook / Catoosa There? 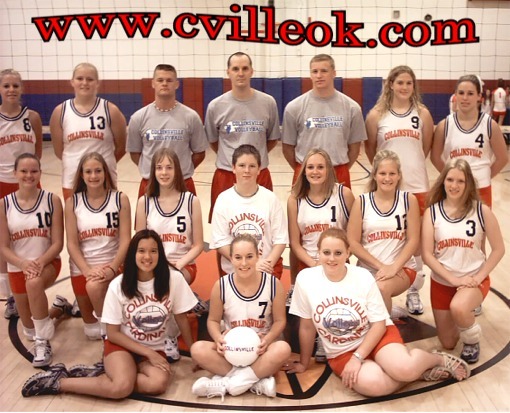 (Left to Right) Back Row: Jenifer Ishmael, Crystal Schults, Coach Ogden, Coach Smalygo, Coach Christian, Valerie Hart, and Kelsi Miller. Middle Row: Sarah Masters, Melissa Cottrell, Leslie Smalygo, Franklyn Kapucuck (manager), Jessica Keith, Kaylee Barton, and Annie Stout. Front Row: Cindal Thurston (manager), Jody Coulter, and Nichole Phelps (manager). 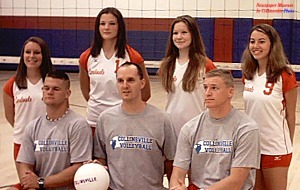 (Left to Right) Back Row: Stephanie Anderson, Coach Ogden, Coach Christian, and Coach Smalygo. Middle Row: Kylie Pelizzoni, Emily Richardson, Shay Hicks, and Toni Slagle. Front Row: Amy Schultheiss, Kayli Chambers (manager), and Kerry Schultheiss. 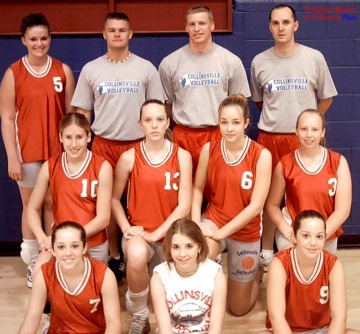 (Left to Right) Brandy Moyers, Staci West, Kristina Hoffman, and Beth Wiseman, ... and the coaches. (Left to Right) Back Row: Staci West, Jeanette Lykins, Coach Ogden, Coach Smalygo, Coach Christian, Ashley Jones, and Heather Hampton. 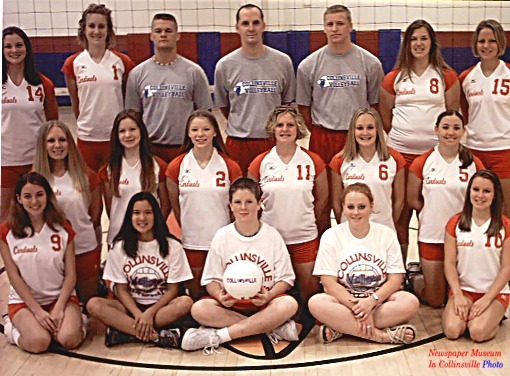 Middle Row: Shannon Slagle, Kristina Hoffman, Katie Hoffman. Jayme Howard, Jessica Keith, and Ryann Ryder. Front Row: Beth Wiseman, Cindal Thurston (manager), Franklyn Kapucuck (manager), Nicole Phelps (manager), and Brandy Moyers. The Lady Cardinals' Head Coach: Art Smalygo will be assisted by Coaches Joe Ogden and Ryan Christian.